Linda Wolf is an internationally renowned photographer who has also been recognized for her humanitarian efforts. She is co-founder of two award winning non-profit organizations based on Bainbridge Island - the Daughters/Sisters Project and the Teen Talking Circle Project. Wolf has also co-authored several books. 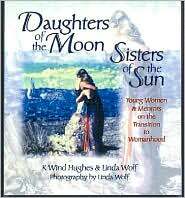 Daughters of the Moon, Sisters of the Sun: Young Women and Mentors on the Transition to Womanhood (1997), written with K. Wind Hughes, documents the process of a group of teenage girls maturing into womanhood. Wolf contributed the photographs to the book which according to amazon.com "elevate this book to one of absorbing beauty." 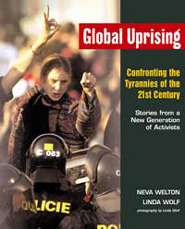 Wolf's second book Global Uprising: Confronting the Tyrannies of the 21st Century; Stories from a New Generation of Activists (2001) written with Neva Welton, takes a look at the new global movement for social justice. First person narratives are complemented by interviews with seasoned activists while black and white photographs add visual power. 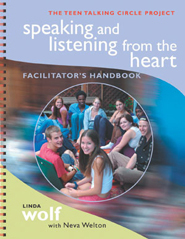 Teaming up with Neva Welton once more, Wolf's third book Speaking and Listening from the Heart: The Art of Facilitating Teen Talking Circles (2005), summarizes two decades of lessons learned from facilitating weekly workshops at her non-profit organizations. 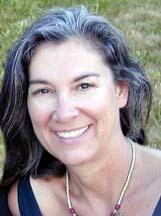 For more information on Linda Wolf go to http://en.wikipedia.org/wiki/Linda_Wolf or http://www.lindawolf.net/.